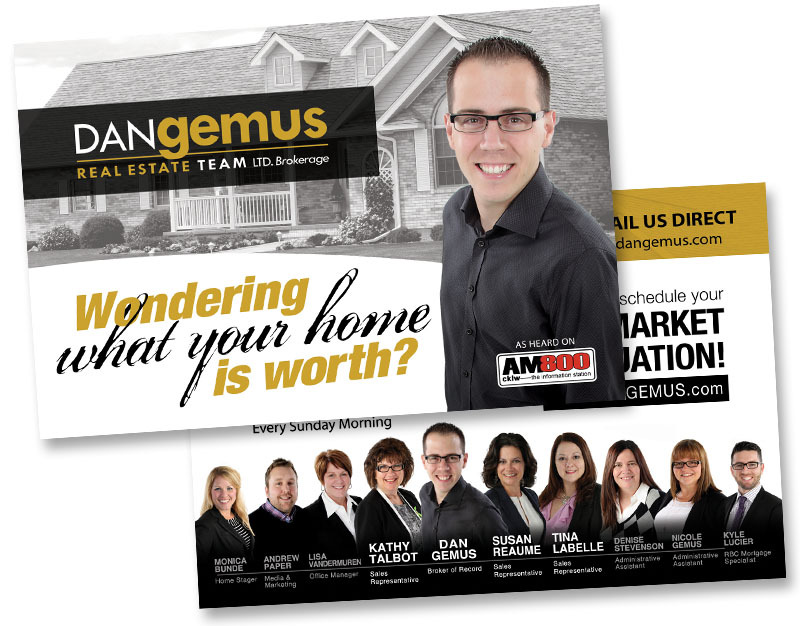 We have provided a complete brand identity for one of Windsor-Essex’s most successful real estate teams, the Dan Gemus Real Estate Team. 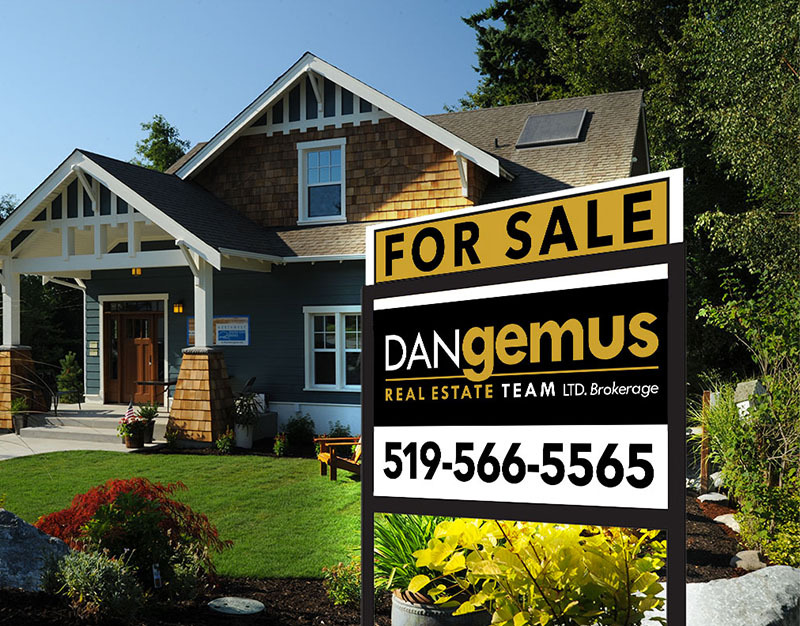 Our work included: Logo, Business Cards, Flyers, Postcards, Newsletters, Signage, Digital Graphics for Social Media and Web, Greeting Cards, Billboards, and more! After considering dozens of logo concepts, we chose a very simple logo design that now fully represents the company brand. This logo is recognized across the region. The company is always creating new promotions and initiatives. The corporate identity and branding style guide that we created allowed us to quickly and affordably create new marketing material of all shapes and sizes while keeping consistent and building the brand.